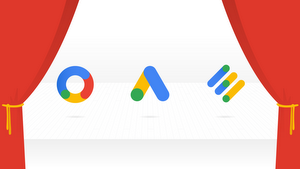 Today in San Francisco, we’re bringing together a thousand marketers from around the world to Google Marketing Next, our annual event to discuss what’s coming next for ads, what’s needed now to grow your business and what we can achieve together. The ubiquity of mobile has dramatically changed the game in the ads world over the past few years. People expect to be able to immediately turn to their device to know, go, do, and buy—and marketers need to be able to meet those consumers in the moment. But that’s not enough. As people continue to embrace new, natural ways of interacting with devices, ads need to get even smarter and more frictionless—otherwise people will just move on. That’s why a big focus of today is how machine learning technology–the same tech that is making Gmail replies smarter and helping you get things done around the house with the Google Assistant—will be critical to advertising. It can help marketers analyze countess signals in real time to anticipate consumer needs and reach them with more tailored ads–right at the moment they're looking to go somewhere, buy, or do something. Machine learning is also key to measuring the consumer journeys that now span multiple devices and channels, across both the digital and physical worlds. It’s something we believe will shape the future of marketing for years to come. 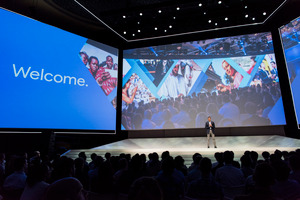 Check out the AdWords blog for more detail on Google Marketing Next and all these announcements. With so many ways to connect with consumers, it's hard for advertisers to answer what should be a simple question—is my marketing working? To truly understand how your different marketing efforts lead to sales, you need to connect the steps of the customer journey as people move between devices—AND value every customer moment, whether it occurs on display, video, search, social, email or another channel. Google Attribution is a new product that helps you do just that. It helps you understand how all of your customer touchpoints work together to drive sales, even when people research across multiple devices before making a purchase. By integrating AdWords, DoubleClick Search and Google Analytics, it brings together data from all your marketing channels. The end result is a complete view of your performance. Google Attribution is currently in beta and will roll out to more advertisers over the coming months. Mobile has blurred the line between the digital and physical worlds. While most purchases still happen in-store, people are increasingly going on their smartphones to do research beforehand. That’s why marketers are using tools like Promoted Places on Google Maps and local inventory ads on Google Shopping to showcase special offers and what’s in-stock at nearby stores to help consumers decide where to go. To help marketers gain more insight about consumer journeys that start online and end in a store, and deliver better ad experiences based on that data, we introduced store visits measurement back in 2014. This is no easy thing—especially in places with multi-story malls or dense cities like Tokyo, Japan and São Paulo, Brazil where many business locations are situated close together. So we use advanced machine learning and mapping technology to tackle these challenges. We’ve recently upgraded our deep learning model to train on larger data sets and confidently measure more store visits in challenging scenarios. Store visits measurement is already available today for Search, Shopping and Display. And soon this technology will be available for YouTube TrueView campaigns, along with new location extensions for video ads. Measuring store visits is just one part of the equation. You also need to know if your online ads are ringing your cash register. So in the coming months, we’ll be rolling out store sales measurement so you can measure in-store revenue in addition to the store visits delivered by your search ads. Finally, people are often searching with the intent to buy. So we’re also bringing in-market audiences to Search Ads to help you reach people who are ready to purchase the products and services you offer. For example, if you’re a car dealership, you can increase your reach among users who have already searched for “SUVs with best gas mileage” and “spacious SUVs.” In-market audiences use the power of machine learning to better understand when people are close to buying something. The convergence of mobile, data and machine learning are unlocking new opportunities for marketers. See the AdWords blog for more detail.